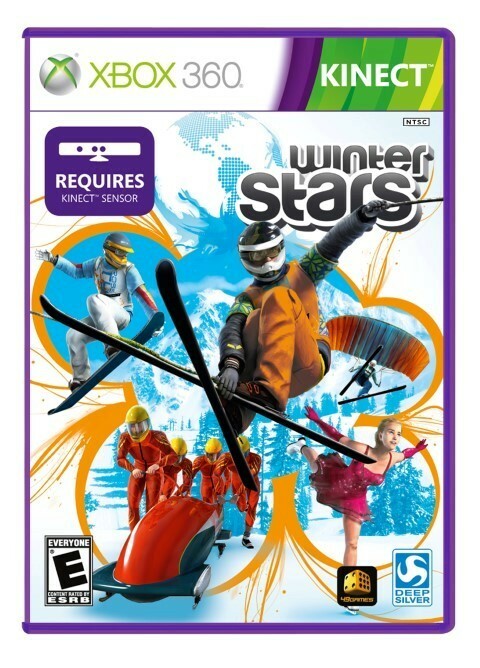 Winter Sports XBox 360 Review Winter Stars is another one of those games that looks great but unfortunately its gameplay is mediocre. The Kinect looks good on paper but in theory, controllerless gaming still has a considerable way to go and unfortunately many developers have created some rather un-inspirational and not very entertaining games for this system. There's still only a handful of Kinect titles that are any good. Even with the latest Forza game, Microsoft included Kinect as a method to control your car but compared to the 360 controller, the accuracy is just not there and to make matters worse, there is a considerable amount of lag with the Kinect. Unfortunately Winter Stars isn't the best that the Kinect has to offer either! 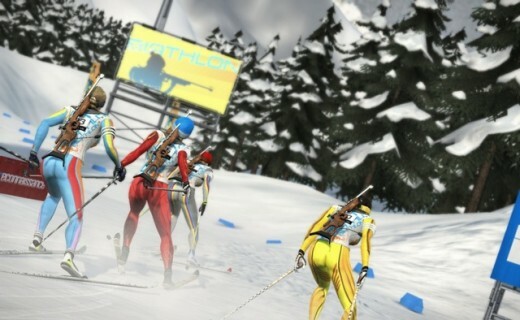 In Winter Stars, this game uses winter sports as its selling point which allows players to engage in a variety of activities from figure skating to bobsledding and everything else in between. As opposed to myriad of horrendous mini-game titles for the Kinect, Winter Stars actually looks rather slick and leans towards the more professional graphics as opposed to the cartoon "Mii's" of the 360. That good! 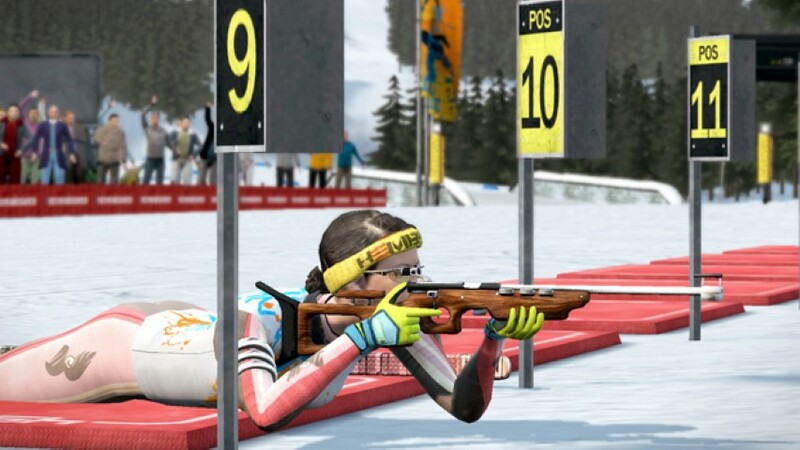 There is even an "okay" story incorporated into the eleven winter sports events (bobsled, paraskiing, biathlon, figure skating, downhill skating, snowboard cross, short track, sky flying, free ride skiing, curling & snowmobile) that you compete which is a rags to riches story. It's up to the player to get your team motivated and winning again but bare in mind that it will be you who is competing in the events. I was also pleasantly surprised that there are even cutscenes to help progress the story. There are a variety of gameplay modes from one-events only to an interesting career mode plus multiplayer (split screen and XBox Live). Multiplayer allows for some strange winter sports as opposed to competition like capture the flag, coin tornado (collect coins while you race), fun race (imagine Mario but on ice) and rocket race (add rockets to skiis). However before you can start your winter sport career, you first need to configure your XBox Kinect which we all know is a joy (sigh). Firstly, you need to have good light and second, you need quite a bit of space in order to partake in these winter games. Once you are setup with the game, it's time to participate in the events and like most sporting games for the Wii, PlayStation Move and Kinect, some are good, some are okay and some are terrible. Winter Stars is no exception to this common rule. For a casual sports game for the Kinect, Winter Stars is also quite challenging that will leave quite a few people cursing and fortunately, there is no controller rage included because its all controllerless. But you still curse! There are tutorials to teach you the basics but once out of the tutorials, some of the sports become quite difficult to advance! The controls of the game or the Kinect itself are a mixed bag with some working better than others. My favourite sport was sky flying which does give you the illusion you are actually doing this sport and the Kinect picks up your body's movements quite well. On the other hand, figure skating and to some extent driving the snowmobile was a very frustrating experience that really didn't lend itself too well to this game at all. 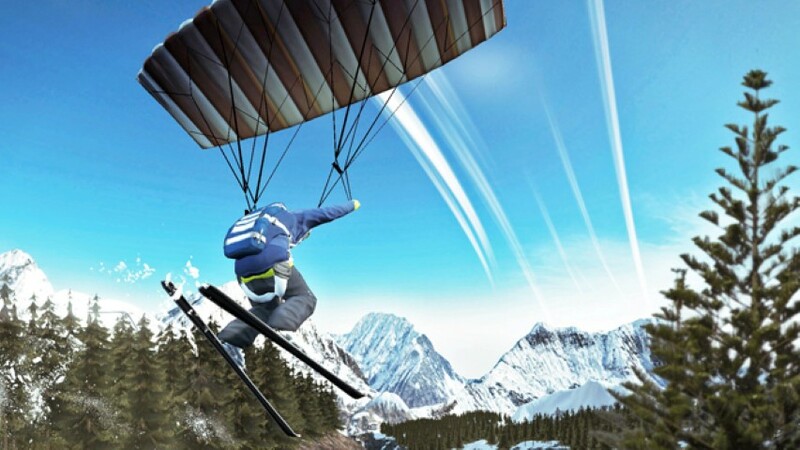 In terms of skiing, especially freestyle, I was hoping that this would surpass the Kinect Sports version but unfortunately it feels a little too stiff. Graphically, this title looks like one of the better Kinect games, thanks to its more mature and realistic graphics. Unfortunately the characters all have this Zombie look in their eyes and their facial emotions are quite creepy. Character models look good when playing the sports and the winter backgrounds truly help with the illusion of what you're trying to achieve. Also, the title does look a little flat in relation to special effects and lighting, it looks too perfect. Voice acting is clichéd and the dialogue sounds like it has come straight out of those B-grade rags to riches stories. The sound effects of all the sports, sound quite good, especially with a surround sound system. Winter Stars is another one of those games that looks great but unfortunately its gameplay is mediocre. The title does feel a little dated because of the unresponsive controls and overall, the gameplay was more frustrating than rewarding for us.